Avoiding gluten, dairy products and white sugar can slim you down, give you more energy, pack your body with important nutrients, and make you all around healthier. 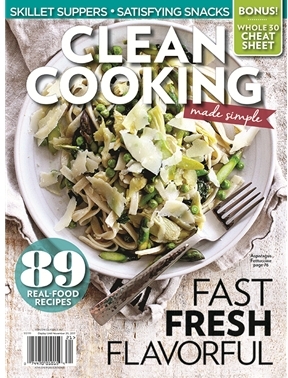 Clean Cooking proves that hopping on to this growing health trend can be both easy AND nutritious! This gorgeously photographed and styled cookbook features more than 80 easy-to-follow recipes for everything from wonderfully fresh smoothies and juices, hearty breakfasts and snacks, family-pleasing entrees and even homemade bread and sweets.